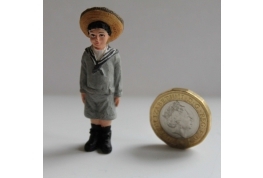 A Delightful 1:24 Scale Boy Dressed In A Sailor Suit, Made Of Resin An Excellent Character For The Smaller Scale Dolls House. 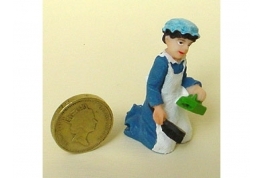 A Delightful 24th Scale Parlour Maid With Dustpan And Brush, Made Of Resin An Excellent Character For The Smaller Scale Dolls House. Copyright © 2019 A Miniature Marvel. All Rights Reserved.